At this impressive workspace solution, you can take advantage of unsurpassed support services as well as 24-hour access. You can convene collaborative projects with ease as there are conference and videoconferencing facilities available to use at your disposal. In addition, this space is close to an abundance of local amenities, from shops to eateries. There are also hotels and cultural hot spots close by where you can accommodate your visiting guests and clients. Located in one of the most attractive business districts of Hamburg and surrounded by a variety of amenities, this modern building offers a wide range of offices and meeting rooms. Equipped with state-of-the-art-technology and furnished to a high standard, these offices benefit from large terraces, advanced videoconferencing facilities and administrative and support services offered by a professional team. With offices furnished by the designer, Frank Theuerkauf, this space has views of the harbour, is ideally situated opposite the Elbphilharmonie and is surrounded by a number of retail opportunities. This space provides all tenants with a comfortable space that instills a sense of motivation throughout their working day. Parking facilities, public transport, and a lot of restaurants can be found around the corner, and there is an events venue just a short walk away. On-site fitness space, games room and conference facilities are just a new of the many amenities members of this open-plan collaborative workspace benefit from. Your business can benefit from this space's dynamic amenities, such as front-desk service, private offices with month-to-month flexibility, and unique conference rooms, enjoy a games area, fitness space, and pet-friendly policy. Within Hamburg's commercial district the building is in an area full of restaurants, cafes, hotels and fantastic transport options. Equipped with the exclusive furniture of USM Haller and Vitra this co-working, business and conference centre is spread over 1,530m² and has 45 rooms available. The view from the rooms of this 5-star centre across the Alster, the town hall or onto Hamburg’s skyline with its new Elb Philharmonic Hall, could not be more imposing. The main train station is just a five-minute walk away, so it is highly accessible. Ideally situated at the popular Baumwall, this innovative business centre has a direct connection to the subway station and provides waterside fully furnished offices, co-working space and conference rooms. A full range of services are included, such as high-speed internet, ergonomic furniture, own eBike fleet and a stylish meeting lounge in which to convene meetings, collaborative projects and training seminars. It stands in a highly cultured area, and consequently rejects the creatively stagnant. Modern offices are available at flexible rental terms to accommodate requirements of different companies and entrepreneurs. They are provided with a full range of services, including meeting and conference rooms, and parking facilities. There is shared internet provided, as well as reception services to greet your clients. Located in the southern area of Hamburg, the centre has direct access to the motorway and is served by various public transport links. In the heart of the City Süd, this ground floor centre is part of a multiple award winning office building that provides office space, spacious meeting and training rooms and an integrated winter gardens that helps to create a relaxed environment to work in. This accommodating, well designed centre is directly next to Stolten Park- a beautiful green space in which you can relax and enjoy lunch breaks. Located in the heart of Hamburg, this co-working business centre is modern, stylish and fully furnished for your convenience. The offices, found within an impressive building, come with a high speed broadband and Wi-Fi connection, allow for 24/7 access and a daily cleaning service. Other amenities include a flat-rate for refreshments which include coffee, tea and beer. Due to the central location, this co-working business centre offers excellent transport connections within its locality, making commutes as easy as possible. This center is easily accessible from major highways, as well as the city center, and provides stylish modern offices with great views. Offices are available in a range of sizes, and various of other spaces are available for meetings and conferences. All major shops and restaurants are in 10 minutes walking distance. A supermarket and a gasoline station are in walking distance as well as University Medical Center Hamburg-Eppendorf (UKE). Hagenbeck´s Zoo is just 2 bus stops away. A private gym is just across the street. This centre, located in the city centre of Hamburg offers a modern and stylish space with all the facilities you will need. The workspaces come fully equipped and furnished conference rooms, organised to your taste. A comprehensive range of business services is offered including telephone services, administrative services and virtual offices. The centre offers flexible terms allowing you to work on a professional level without capital investment costs as the spaces come fully furnished, equipped with technology and high speed Wi-Fi. An on-site team is available to assist with administrative tasks and welcoming of your guests. This centre is the perfect workspace solution for companies that value prestige at an unmatched location. In a superb location, close to major transport links, this new business centre provides a contemporary atmosphere for meetings and work. Offering desks in shared spaces as well as private offices, this centre also provides a full selection business support services. The space is specifically designed to enhance focus and motivation. With offices and meeting rooms that partly offer a view of the Alster this modern building has been certified with Gold by the German Association for Sustainable Construction (DGnB) and provides office space flooded with light and enjoys a prime city centre location at the Esplanade between the inner and outer Alster. Within the immediate area, you can find Jam Jar Cinema, a shopping centre, an an abundance of restaurants in which you can entertain colleagues. Recently renewed to a high standard and equipped with the latest technology, these office spaces offer you a modern and professional working environment provided with all the facilities and services needed to run a successful business. Conveniently located in the commercial and media district of Hamburg, in an attractive and renowned area of the city, these offices are just a few minutes’ away from the railway station and well connected to the airport. Located in a handsome brick building just west of Binnenalster, WeWork Gänsemarkt is five floors of coworking office space that gives your team the best of Hamburg. This luxurious area of the city is the perfect place for top media companies and law firms, but businesses from any industry find value in our workspace. Most members bike, enjoying the ride across Jungfernstieg—only a two minute walk from the office. Others take the train, departing from the nearby S-Bahn and U-Bahn stations at Jungfernstieg or Gänsemarkt. Nearby spots like Mad About Juice, Vlet, and Blockhouse keep your team fed, while shopping on Neuer Wall or boat rides on the Alster offer entertainment for your traveling clients. This business centre opening soon in the heart of Hamburg, provides professionals with a thriving business community of creatives, entrepreneurs and corporations. Offices are fully furnished and services, with the option of private offices and co-working solutions. You can enjoy spacious lounges and meeting spaces, along with a micro roasted coffee bar. Your all inclusive fee includes printing facilities, high speed internet, phone booths and the support of an on-site team. This historical building consists of a selection of offices and meeting rooms furnished to a high standard and provided with high quality services offered by a professional support staff. Surrounded by restaurants, hotels, shops and theatres, these offices are located in a very prestigious area of Hamburg, excellently served by public transport and close to the main railway station. Within walking distance, there are also galleries and museums to visit outside of work. This centre is featured in a vibrant area, home to numerous commercial entities and close to the city centre. Here, there are fully equipped meeting rooms, secure parking spots, friendly reception services and high-speed internet connection. The centre is also accessible 24-hours a day, allowing for employees to liaise with overseas clients with ease. In terms of public transport, this business centre is extremely well connected, close to the Dammtor railway station and only a 10-minute drive from the Hamburg Airport. Additionally, an array of local bars, cuisine, hotels and retail outlets surround the centre, demonstrating that there is something for all to enjoy at this prestigious address. Offering a high functionality and lifestyle feel, this space promotes a productivity and efficiency. Your business can benefit from this centre's 24 hour access and security, allowing you to work through late hours with peace of mind. Car parking is available nearby, making commutes as simple as possible, and there are other amenities nearby, including restaurants, cafes, supermarkets and retail shops. In an area popular with tourism and technology, and just five minutes from the metro, this high-visibility building provides a range of serviced office space from a landmark building. This centre offers services that will ensure your business flourishes under the best conditions. You can benefit from conference facilities, IT support, multilingual staff and an on-site management team. This is the perfect workspace solution for a business that seeks to make a dynamic impact. Close by, there are green spaces in which to relax and enjoy. By the water, there are beer gardens and restaurants to enjoy outside of work. Brand new offices are available to let in the heart of Hamburg business district, a dynamic and attractive area for any successful business. They are sophisticatedly designed and provided with parking facilities and high quality services offered by an experienced and professional support staff. Surrounded by a variety of amenities, they are well served by public transport. A 5 Star Hotel is part of the complex and a cinema and a theatre is just 5 minutes walk away. You reach Reeperbahn within a 5 minutes cab ride. This central Hamburg Location offers 24-hour access and an on-site management team to help you run your business as conveniently and efficiently as possible. With a range of high quality facilities, including unlimited coffee and fruit water, plus a vibrant selection of custom-designed lounge areas. This space is surrounded by some of Hamburg's best shops and malls, including; Hanse-Viertel Einkaufsassage, Europa Passage Hamburg, PERLE Hamburg, and designer names like Louis Vuitton. Topped with a spectacular roof terrace this newly refurbished building is home to a 6th and 7th floor business centre flooded with light located between Gänsemarkt and Neuer Wall. Offices are modern, luxurious and fully equipped while you will also have access to state-of-the-art conference rooms. The Business Center Hamburg Hohe Bleichen 8 also provides an underground parking garage so you're also able to access your office easily by car. Located right beside the Stadtpark this business centre is found in a modern building, offering lovely views of the park and green surroundings. From this very central centre you can easily reach Hamburg Airport. 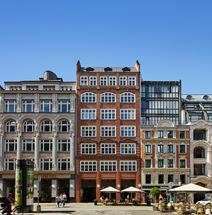 Hamburg city centre is also a short drive away or within walking distance. There are excellent public transport links with the centre, making it easily accessible. Closer to the city centre you will find several shopping areas including the Hamburger Meile Shopping Mall. A selection on stylish offices is available in this prestigious building located in one of the most famous streets in Hamburg. Furnished to a high standard and sophisticatedly decorated, these offices are provided with spacious conference and meeting rooms and enjoy a stunning view over the city. Situated within walking distance of the main railway station, they are surrounded by restaurants, hotels, shops and cultural attractions. High quality facilities, available 24/7, include conference rooms, along with a comprehensive range of modern communications and processing equipment. With secure underground parking, you can work within an attractive, well lit space with peace of mind. Located to the north of the city centre, conveniently 2 miles from Hamburg Airport, this centre stands with a number of regularly serviced transportation links within its locality. Situated in an historic loft, this centre benefit from a very convenient business location in the heart of Hamburg. Surrounded by numerous companies and various offices, this centre offers a very professional environment that will enhance the image of your company. These office spaces are flexible and can be tailored to meet needs of any company or entrepreneur: we can provide you with the ideal office solution to suit your business requirements. These office spaces enjoy a full list of high quality services, including IT support and catering services. Within walking distance of the main railway station, they are well served by public transport and well connected to the airport. This space is a well-connected serviced office center, close to underground services and close to the center of the city. With a choice of furnished or unfurnished spaces, the center is ideal for professionals in advertising and graphic design. The surrounding area offers many amenities within walking distance, such as hotels where your clients can stay, as well as banks, parking facilities and an abundance of eateries. Centrally located near the Grossneumarkt, this modern business centre offers nearly 1255 sqm of office space, with 23 offices, spacious reception areas and fully equipped meeting rooms. The business centre has a great atmosphere and fantastic business community, consisting of independent service providers and consulting companies. With regular networking events you can enhance your profile within this centre. The building also offers a range of great amenities suc as 24 hour access, kitchens and beverages. This high-quality modern building boasts contemporary materials and comfortable serviced offices. Located in a sought-after district of Hamburg, this centre offers a range of excellent office solutions and is easily accessible by car and public transport. The service and hi-tech industries are well represented. The high-standard, contemporary building includes large windows that allow for 270-degree views across Hamburg. 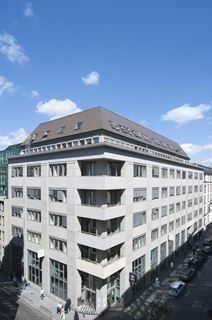 This prestigious address covers three floors of a building within walking distance to the "Außenalster". Some offices have their own balconies and all are equipped with brand new, modern furniture and have access to fully equipped meeting rooms. Parking in front, under or near the centre is available. Within the immediate area, there are lots of restaurants, cafes,shops and local hot spots to visit outside of work. Located in the heart of Hamburg, in the most attractive and renowned areas of the city, these offices benefit from an excellent location. Close to the major amenities and attractions of the city, they are surrounded by numerous companies and shops. Just a few minutes’ away from the main railway station, this area is one of the major city's hubs: excellently served by public transport and easily accessible. Furnished to a high standard and decorated with great attention to details, these stylish offices offer an elegant working environment, ideal to run successful businesses. This is the perfect workspace solution for forward-thinking businesses that want a business centre that excels above others. Located in the heart of Hamburg, in one of the most attractive and important business areas of the city, this building offers a selection of bright, unbranded offices. Modernly furnished and technologically equipped, they represent an ideal solution for your business, with accommodating services such as meeting rooms, conference facilities, copy and printing facilities, company signage, support staff, a multilingual team and reception services. Over the water, there are government buildings, foreign consulates and the Town Hall. This new business centre offers over 55 furnished office spaces in a range of sizes, with a seating area ideal for networking or entertaining clients as well as a secure business lounge and meeting rooms. The offices are available on flexible and affordable leases. Administrative support staff are provided by the centre, which is split over two floors of a popular building close to banking and entertainment facilities. Situated on a buzzing business street in central Hamburg, close to design stores, boutiques, restaurants and much more, this historical building offers quality office space in a comfortable environment. An impressive business venue in the centre of Hamburg. The boulevard “Neuer Wall” stands for exclusive shopping and the best business addresses. There is a vintage chimney lounge, sundry meeting rooms in loft style, a library, a gallery furnished with noble design plus some sofa and chair groups. Located on 'Neuer Wall' these modern private offices and co-working areas are located in the heart of Hamburg's upmarket shopping area within an impressively designed building. There are plenty for spaces that can be utilised for networking, internal meetings and hosting, including the reception area, conference room, event space, lounge and bar. Lastly, the centre provides modern phone booths for uninterrupted calls, ensuring absolute privacy. The centre is surrounded by a wide range of restaurants, bars, department stores, shops and boutiques. Serviced offices, virtual offices and conference rooms are available in this professional business environment; a workspace solution that is perfect for companies that value convenience and practicality as well as a prime location. Administrative support is available, as is a range of other business support services. This is the only center in close proximity to the airport, giving your company a strategic advantage over others. Situated in a prime location of Hamburg, this centre offers coworking space, modern meeting and training rooms. Full-height windows allow for plenty of natural light and WiFi throughout ensures you stay connected. There are local shops, with a shopping centre only 10-minutes away. You can spend your lunch break in the local park or tennis club. Buses running through the area frequently make the centre easily accessible. This five-storey property is located in the centre of Hamburg and provides a variety of offices and workspace to companies of any size. You will have access to the building 24-hours a day as well as benefitting from unlimited hot drinks, reception services, office cleaning and meeting room. The offices are located within the popular shopping mall, Mercado which is directly opposite the subway station, Hamburg-Atona which is one of the City’s major transportation hubs. You also have access to the BF.Altona bus and coach station, making it easy to get in and around the city. With modern offices and meeting rooms, this center is located in a new office block in the middle of Hamburg, and offers a range of services/facilities. Furthermore, there is 24 hour access, allowing you to work through late hours. There is a variety of shops and restaurants close by and the main rail station is just a five-minute walk from the front door. Just a short drive away, you can reach conference centres and many events venues at which to hold networking events. Situated in the heart of Hamburg, this stunning 100-year-old building in Rödingsmarkt provides a range of serviced office spaces from a space ideal for two people up to a large fully furnished suite suitable for up to 50 people. Meeting rooms and lounges have a classic vintage style. Since this center know this journey requires maximum flexibility, it offers 24/7 access to office space and flexible monthly membership plans. Conveniently located in an important business district of Hamburg, these offices are close to shops and public transport routes. The offices benefit from parking facilities, lounge area and several high quality services. Administrative/IT support enhances your company's productivity, giving you more time to focus on the bigger projects. There is a reception team that will greet your clients and handle all your telephone answering for you. Opening in February 2019 this brand new and modern business centre aims to provide you and your business everything you need to thrive in a professional setting. The location is highly desired and very convenient, right in the city centre with plenty of trendy restaurants and outdoor catering in beautiful courtyards. There is a hotel within walking distance offering overnight stay for your clients, and the bar makes for a great place to enjoy some drinks after-hours. There are several supermarkets in the area. Public transport links are excellent and abundant, with public car parking and a tram stop a short walk away. The offices come fully equipped with everything you need to work productively, and conference rooms can be booked by the hour even without office membership. 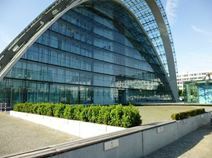 This center is situated in the heart of the HafenCity in a prominent building. It is the ideal workspace solution for companies seeking practicality as well as accessibility. Restaurants and shops surround the property. The centre offers a stunning business venue, with offices to suit a range of business types and sizes, and spaces can fitted out to suit the clients requirements. In addition, there are also lots of hotels within walking distance. Strategically located in the heart of Hamburg, these modern office spaces are provided with a full range of high standard services and facilities, including high-speed Internet connection, cybercafé and parking facilities. They offer a highly professional working environment and benefit from excellent public transport links and good connections to the airport and the major motorway junctions. Just a short stroll away, there is a concert hall, art gallery and an abundance of historical landmarks to observe. A modern business centre situated in Hamburg, providing a range of offices complete with plenty of amenities for aspiring tenants to begin conducting business immediately. Here, it is possible to make use of the high-speed internet, business lounge access, roof-top terrace, meeting rooms and reception service. In addition, the area is home to many cultural treasures including several museums. The local area is filled with local amenities as well. Transport links are numerous and provide convenient travel around the city and wider regions. Situated in a convenient and cosy neighbourhood in the heart of Hamburg, this business centre provides fully furnished offices and working spaces, designed with your comfort and productivity in mind. Offices come in various sizes, with the option of flex and fixed desk in a co-working environment and the use of a meeting room suited for 2-4 people. You can enjoy communal spaces including a lounge and a terrace. This impressive new centre opening in November is featured in central Hamburg and offers a wide range of professional services such as; equipped meeting rooms, copy & printing facilities, cleaning & maintenance service and a dedicated reception service who are available to greet guests with a friendly face as well as handle any general administrative responsibilities. In addition, this centre is well situated close to several public transport links and a short drive from the Hamburg Airport. Local amenities are also numerous and include plenty of bars, restaurants, hotels and retail outlets.